When you go in for a tooth whitening process, what you get is a chemical treatment. Just like bleaching hair, in the case teeth peroxide group of chemicals are used, like hydrogen peroxide or carbamide peroxide. When a peroxide comes in contact with the surface of a tooth, it releases free radical oxygen. The free radical penetrates the outer layers of the tooth, oxidises the colour producing pigments. This makes the teeth whither. 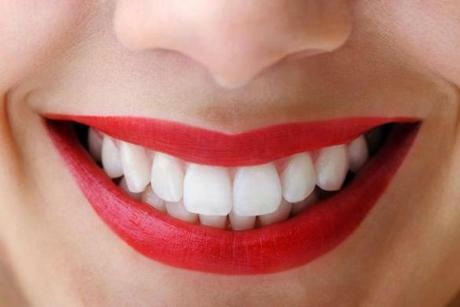 The truth about bleaching teeth is that it works as per the treatment undertaken. A whitening toothpaste (though most such toothpastes don’t do much) works very slowly. On the other hand, if you visit a dentist and do an hour-long treatment over two sessions in a week, chances are your teeth will visibly glisten. In short, the attractive shade takes a while to come through clearly. Also, just like the whitewash on a wall, bleaching your teeth has a shelf life. It is not a permanent solution. After a session of bleaching, the effects will start to wear off in about two years. So, you are going to need touch-ups at regular intervals. Also, you will have to curb habits that make teeth yellow (like smoking or chewing tobacco) if you want a set of pearly whites that don’t go dim easily. While there are very few side-effects if a good dentist bleaches your teeth, your teeth are likely to feel ‘tender’ and a little too sensitive for a few days at the most. Also, your gums may feel a bit irritated due to contact with the peroxide. If you have bonded fillings, veneers or crowns on the front teeth, it is advisable that they be replaced after the whitening process is over. Certain kinds of tooth discolouration is beyond whitening. Too much fluoride intake during childhood yellows teeth permanently, just like prolonged use of the antibiotic tetracycline during childhood, which makes teeth grey. In such cases, you may have to go in for a veneer. Reduce tea, coffee, wine, soft drinks. Brush twice daily, preferably after meals. Floss to get rid of food particles stuck in your teeth. Here’s some more insights from our dentist, Dr. Talekar, on keeping your oral health in check. Previous Previous post: Bean me up!